Jim Shore Be Open to Winter's Wonders Snowman with Hidden Scene 4016074. Introduction: 2010 Figurine. Stone Resin. 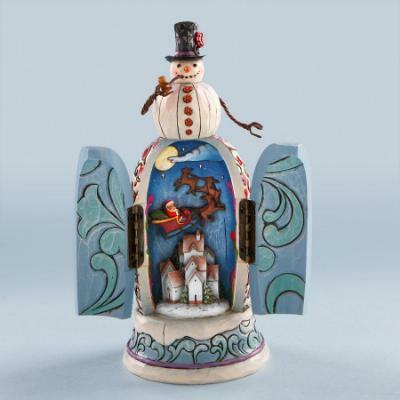 8.25" H x 3.5" W x 3.5" L. A wonderful snowman design and when you open the doors it reveals a winter scene. You can earn 47 Grandmas Under the mattress CASH points on this product!